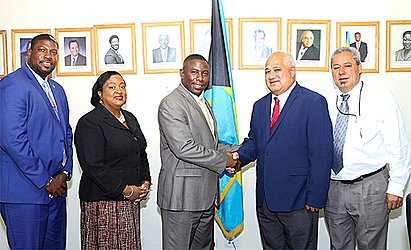 TALOFA LAVA: The Minister of Agriculture and Fisheries, Lopao’o Natanielu Mua paid a courtesy call on the Bahamian Minister of Agriculture and Fisheries,. Renward Wells at his office last Monday, just before a meeting in the country where ministers and senior government officials from Sub-Saharan Africa, the Caribbean and the Pacific Islands looked to reinforce shared commitments to improve governance and boost development of fisheries and aquaculture resources. 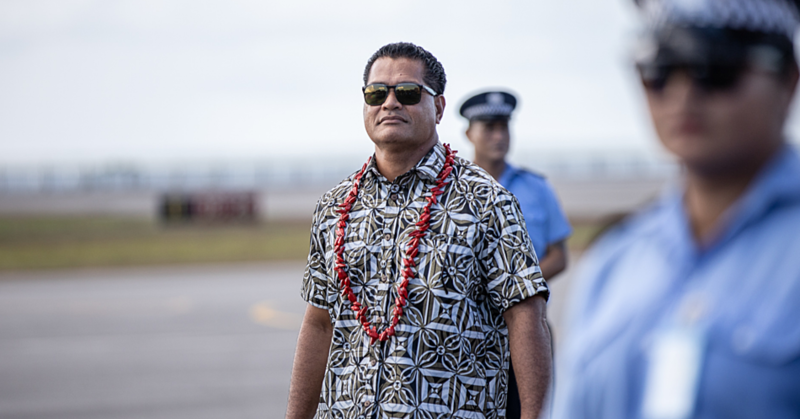 Pictured from left: Parliamentary Secretary in the Ministry, Carlton Bowleg; Permanent Secretary in the Ministry, Phedra Rahming; Minister Wells; Minister Lopao’o Natanielu Mu’a and Chief Executive Officer, Ministry of Agriculture and Fisheries, Tilafono David Hunter.